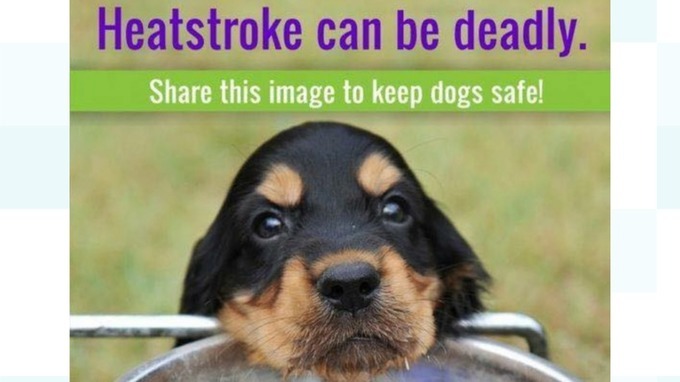 The JSPCA are urging islanders to call the police if they see a dog in a hot car, after another dog has died in Jersey. This is the second to die due to the heat within the last week. Pet owners are being warned of the dangers of keeping dogs in cars, and are also being asked not to walk their dogs in the middle of the day. It comes after young dog died a week ago due to heatstroke when out walking during the early afternoon. The dog was rushed to hospital with breathing difficulties, but died before arriving. Use cool mats and fans when travelling, provide fresh water bear in mind dogs that like to carry balls can overheat quicker as they can’t pant as efficiently – special breath easy balls are available.